It’s a solution as old as the hills: the storage of cremated ashes in a neolithic burial chamber. Following a new incarnation of this old idea in 2014, when a traditional long barrow was recreated in Devizes, Wiltshire, stonemasons Sacred Stones have built a further version near St Neots in Cambridgeshire and plan to build a further eight barrows across England. 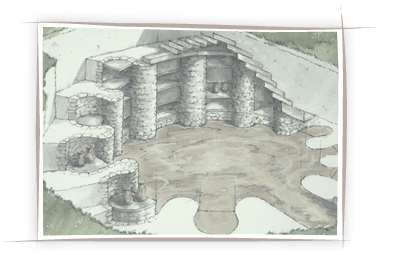 The long barrow is a network of underground passages housing niches for funeral urns. The revival of the idea stems from the desire to provide a natural alternative to the modern funeral. The barrows are unlit save for natural light coming from the entrance, and sconce candles. “It is a beautiful place to lay someone to rest” says Toby Angel, Managing Director of Sacred Stones.